When the body is unable to cool itself by sweating several heat-included illnesses such as heat stress or heat exhaustion and the more severe heat stroke can occur and result in death. High temperature and humidity; direct sun or heat; limited air movement; physical exertion; poor physical condition; some medicines; and inadequate tolerance for hot workplaces. 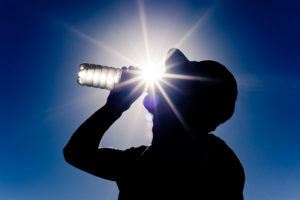 For more information about how you can prevent heat stress visit your local Health Unit.